Chicktime honors Bard D’Arco for founding the Chicktime Ogden chapter. Please scroll down and enjoy past news about the delightful volunteer opportunities Barb organized for the local community. Bard has entered a new season and the chapter is now looking for leadership to continue organizing volunteer opportunities. We have women on the roster ready to volunteer. If you have ever contemplated where you fit in on the issue of child abuse, we encourage you to act now. The simplest solution is to join our chapter and add your name to the list of women ready to volunteer when the chapter is up and running! The more difficult solution is to LEAD. What an awesome idea our friend Brandi had! 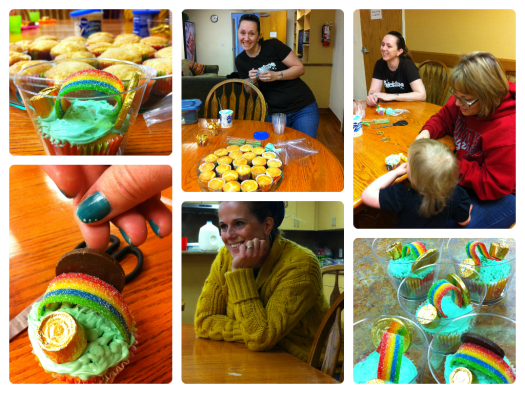 This month we made the cutest St Patty’s Day cupcakes! 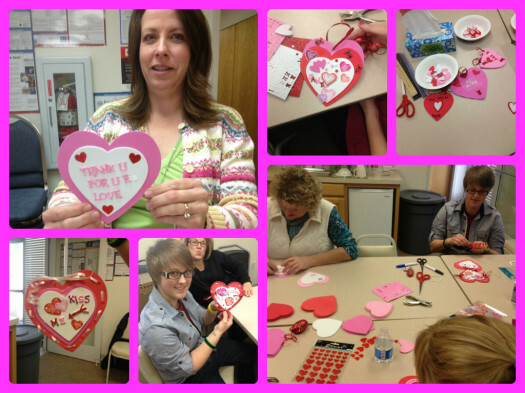 We had a fabulous time making Valentine’s with our friends at Safe Harbor! 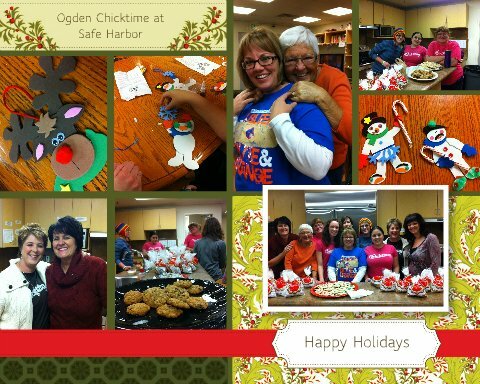 This month the ladies of Chicktime Ogden were very busy! We talked with the shelter about what they needed most for the holidays and decorations were the overwhelming response. We were able to get lots of items donated and off we went to bring some Christmas cheer! The next week we were back and had our regular event with treats and Christmas ornaments! We had a great turn out and everyone had a fantastic time! This event was so much fun! 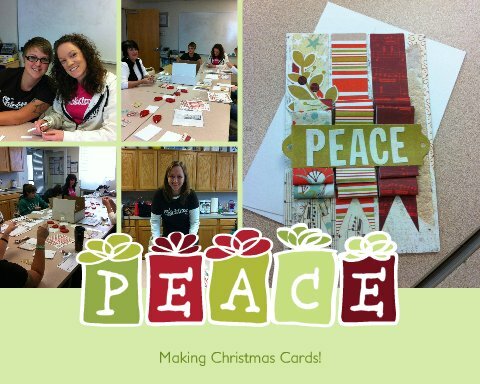 Allison was able to get card kits donated by her work so we made Christmas cards for the ladies to send out! They had a very fun time and were very creative! This month we had our very first cooking event at Safe Harbor! Lynn lead the way by planning some super fun Halloween treats! We made Mummy Dogs, Apple Monster Mouths, Worms in Dirt and Mummy Pizzas! The kids and moms had an awesome time and everyone enjoyed themselves so much! Our project in September was lead by Andrea & Emily! They did and awesome job helping the kids decorating pillowcases. 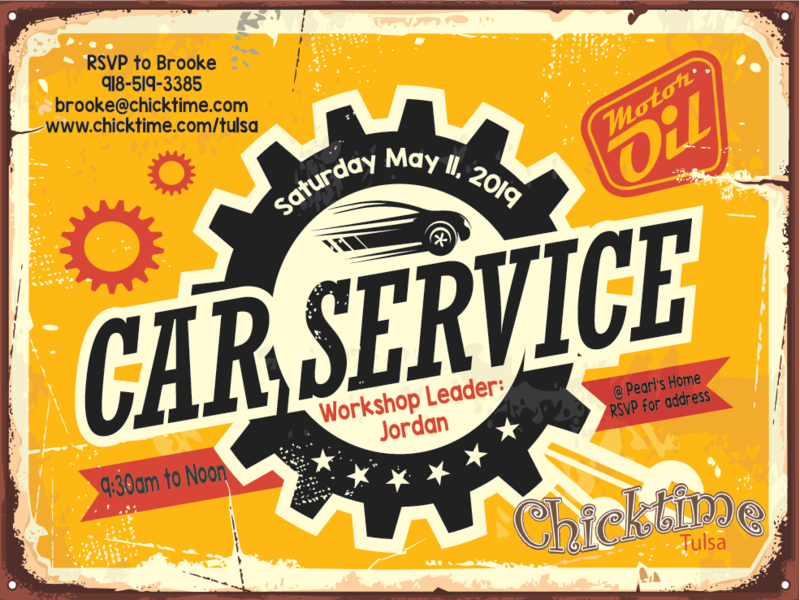 We had our best participation ever at this event! It was way fun! Christine & Abigail led this month and we had a fantastic time putting on a Backyard Carnival! Our egg race and face painter was the biggest hits of the day! This month was fingerpainting fun at Safe Harbor Crisis Center. Our gals went out and had a great time with the kids! Some of our gals even let the kids paint them! I also want to give a big shot out to all our gals helping out from behind the scenes by donating supplies! 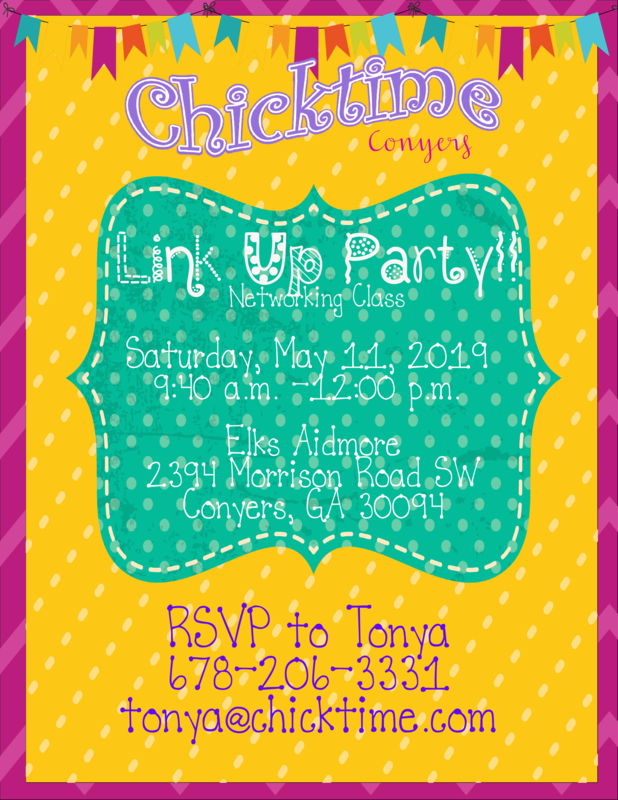 Calling all Chicks! Safe Harbor has asked us to help out with a special project! Remember those flowers we made for Mother’s day? Well, they need more! There is an event by the State Wide Advocates for Victims Organization (SWAVO) for which they need centerpieces. I still have all the supplies so if anyone would like to help out making some more please let me know. We had an awesome time at Safe Harbor in June! Our beading project seemed to be a big hit with both kids and moms! We had a little rough time getting the string tied but managed to work it out. While we were there we were also able to help out separating personal hygiene kits that had been donated to the shelter. We had such awesome team work! Thank you to everyone who came out! 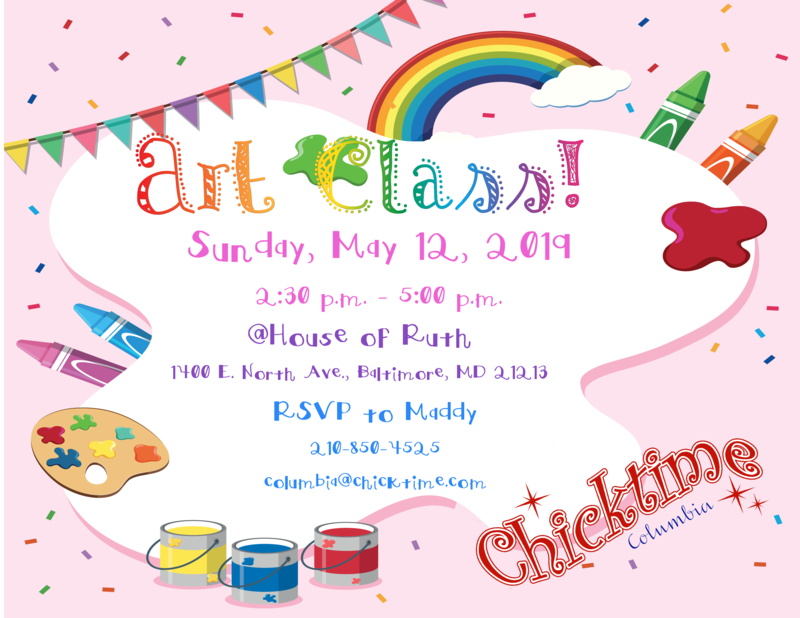 Chicktime Ogden had its first event on Saturday 12 May! We made coffee filter flowers at Safe Harbor Crisis Center with the moms and kids for Mother’s Day! What a wonderful event! We had a fantastic group of ladies and I am so glad that both of my daughters were able to be there as well.